The number of people being diagnosed with diabetes and those living with diabetes has increased dramatically in the last 10 years! The World Health Organization estimated that 171million people had diabetes in the year 2000, and this number is expected to more than double to 366 million by 2030[i]. A recent research study also corroborates this rapid increase in the number of people with diabetes. The researchers estimated that amongst adults worldwide between 20 and 79 years old, about 6 out of every 100 had diabetes in 2010, and the estimate for 2030 increased to almost 8 out of every 100 adults[ii]. The increase is attributed to decreased exercise, eating more high carbohydrate foods, and increased obesity, and is expected to be much greater among adults in developing countries than developed countries. It is concerning that the number of people with diabetes is increasing because diabetes can affect a person’s body in many ways; for example it can cause people to have low energy, and damage the eyes, kidneys, heart and the nerves in the feet. This can cause a person to go blind, develop kidney failure, heart attack, or chronic wounds in the feet leading to amputation of part of the leg. The good news is that the type of diabetes that is increasing more rapidly is one that can be prevented or kept in check by some changes in lifestyle. I will describe the types of diabetes in more detail later because there is a type of diabetes that usually starts in childhood whose cause is unknown; hence cannot be prevented. It is difficult for me to hear people say things like“Diabetes runs in my family, I will develop the disease when I get older,” because something can be done to avoid this disease. Many children are also now developing the type of diabetes that used to be common only in adults. 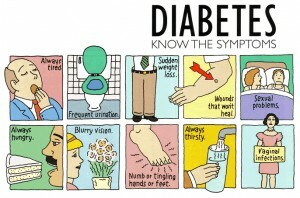 And adults who don’t have family members with diabetes are being diagnosed with it as well. Did you know that you can make some lifestyle changes which can reduce the likelihood that you will become diabetic even if you have a family history of the disease? 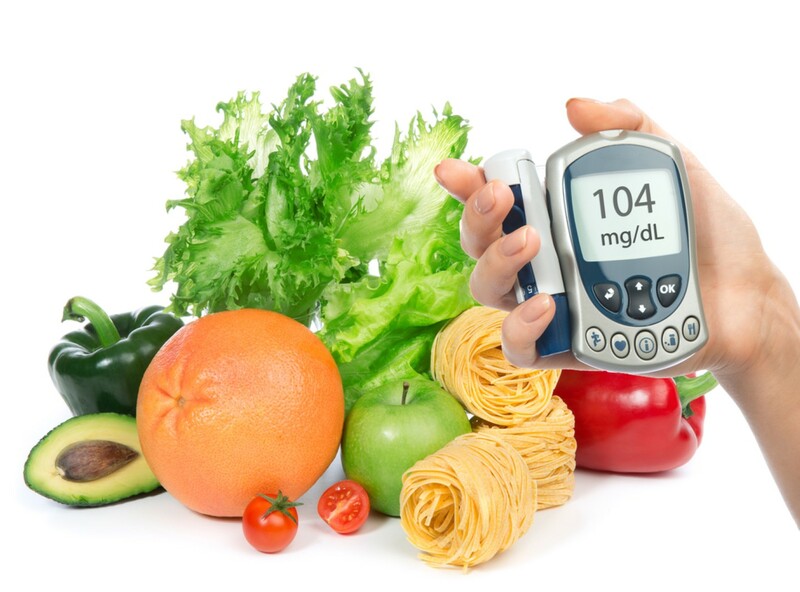 That is the focus of this article, and we will discuss some of the symptoms of diabetes in this edition of health ethics; as well as what we can do to avoid the most common form of diabetes which affects about 90% of the people with the disease. Diabetes is a condition in which there is an excessive amount of glucose in the blood due to a problem with the way the body responds to insulin, or a reduction in the amount of insulin. Insulin is produced by the pancreas, and it helps to regulate the amount of glucose in our blood by signaling to the body cells when to store glucose. Our body requires glucose to form the energy that powers all the body processes. Our brain cells depend mostly on glucose as its source of energy except during starvation, and the brain accounts for about 60% of the glucose utilization of the entire body while in a state of rest[iii]. Now that we know how important glucose is to the body, we also need to note that too much glucose is not good for the body (or the brain). For instance, very high blood glucose levels can cause a person to become unconscious and die. The amount of glucose in the blood is regulated by different chemicals produced in the body known as hormones, and insulin is the most important of these hormones. Insulin is usually released after foods containing carbohydrates are digested to form glucose, and the glucose is absorbed into the blood. The insulin is responsible for signaling to our body cells that they should take glucose from the blood, either to be converted immediately to energy or to be stored for future use. 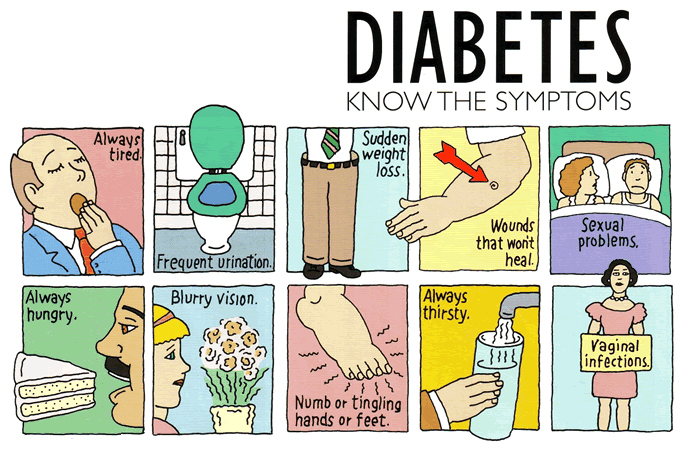 In Type 1 Diabetes, the pancreas fails to produce insulin to drive the glucose into the body cells. So, the amount of glucose in the blood is high and the body is unable to do anything about it because the pancreas is not producing insulin. 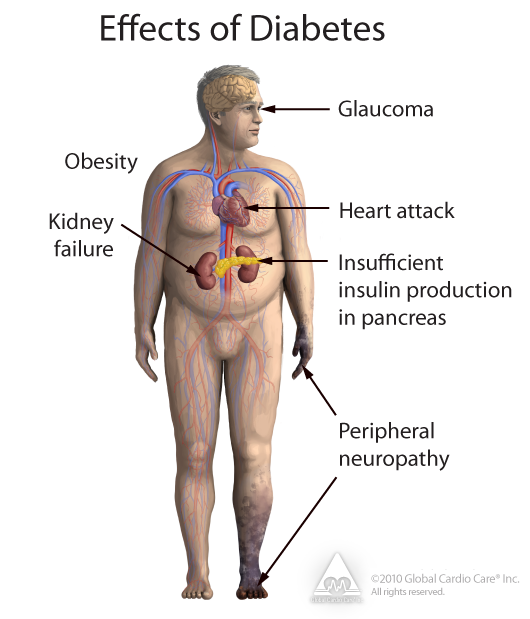 This type of diabetes occurs mostly in younger people, and is caused by destruction of the insulin-producing cells in the pancreas. The reason the pancreatic cells are destroyed is unknown. 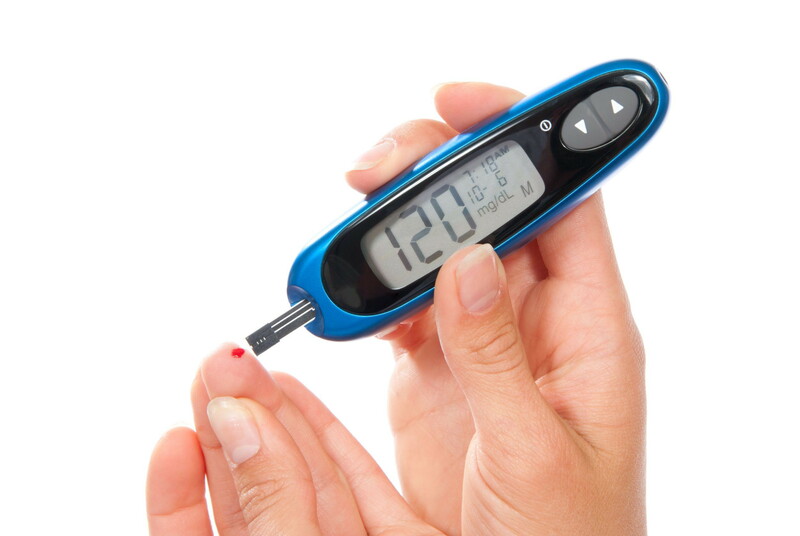 Type 2 Diabetes occurs when the body cells do not respond to insulin by taking in glucose. 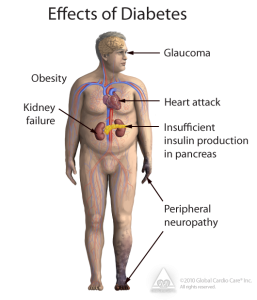 When a person has Type 2 diabetes, although insulin is being produced, their body cells fail to respond to the insulin. 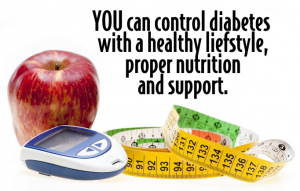 Most of the people with Type 2 diabetes are older than 30 years and are overweight. It was previously thought to be a disease of the affluent countries, but the number of people being diagnosed with diabetes is increasing in developing countries. Studies performed in different African countries revealed that from 3 to 10 out of every 100 people had Type 2 diabetes. Gestational Diabetes is the third main type of Diabetes and it can affect up to 1 out of every 5 women during pregnancy. The cause of this form of diabetes is unknown, but it is thought to be related to the action of placenta hormones against insulin which causes the pregnant woman’s body cells not to respond properly to insulin by taking in glucose from the blood. Gestational diabetes does not mean a woman will have Type 1 or Type 2 diabetes after pregnancy, but a woman that has had gestational diabetes is more likely to have Type 2 diabetes when she is older. 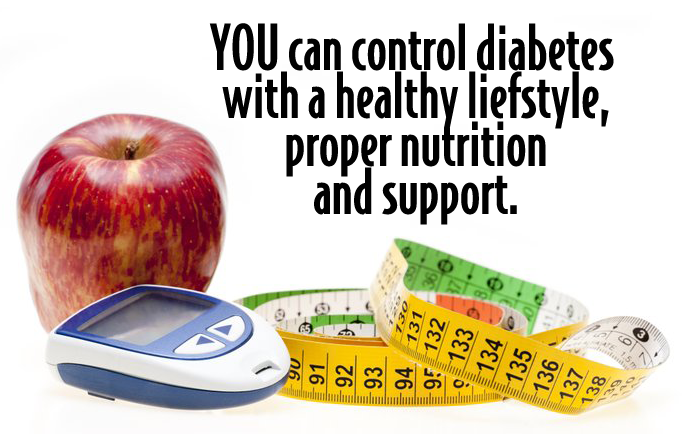 If you keep an eye on these three aspects of healthy living, you can reduce your risk of diabetes. It might appear easy to do these three simple things, but I know from experience how difficult it can be to maintain an exercise routine in the midst of a busy lifestyle. Just being active or busy does not mean that you have given your body, especially your heart the exercise that it needs to stay healthy. The minimum requirement of exercise for all adults that want to have a healthy heart and keep diabetes away is 30 minutes of regular and rhythmic motion at least 4 days a week. This means you can either walk briskly, jog, run, cycle, swim, or do something else that is enjoyable to you like dancing continuously for 30 minutes in order to fulfil the exercise requirement. We have discussed healthy eating and how to avoid obesity in a previous edition of health ethics (See Volume 3 No. 2); so I will not say much about those here; except to reiterate the fact that this is also not something that comes easily. It is much easier to gain weight than to lose it, so watching what you eat is very important. Try and eat five different fruits and vegetables every day. Your body will thank you for it! If you are overweight or obese already, you can see your doctor or dietitian, so they can help you develop a meal plan that will help you lose weight. This will most likely involve cutting down your carbohydrates drastically, and eating a salad of green leafy vegetables (with a light vinaigrette dressing, not the fatty dressing) for at least one of your meals. You will be surprised how much weight you can lose by simply changing the way you eat, and exercising moderately for 30 minutes every day as described above. 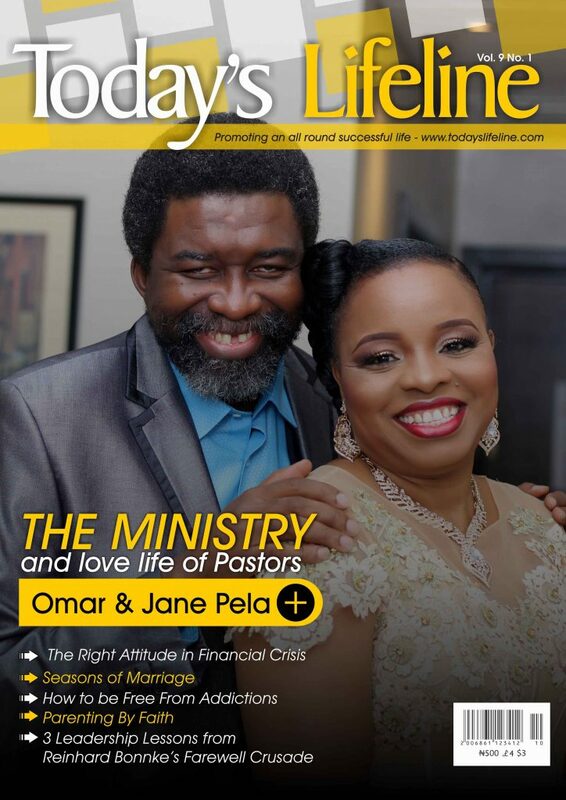 I wish above all things that you prosper and enjoy health even as your soul prospers. Please feel free to send me your questions or comments. [ii]Shaw, J. E., Sicree, R. A., &Zimmet, P. Z. (2010). Global estimates of the prevalence of diabetes for 2010 and 2030. Diabetes research and clinical practice, 87(1), 4-14.